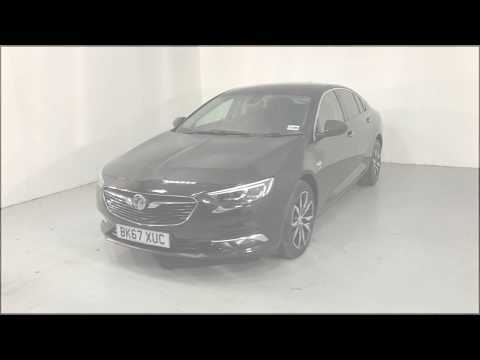 ​The Vauxhall Insignia Grand Sport has arrived at Thame Cars. Awarded Family Car of the Year 2018! The Vauxhall Insignia has a muscular appearance, spacious interiors and smart road stance. We have a fantastic selection of Vauxhall Insignia to choose from. At Thame Cars our team will spend time understanding you, your needs and how you use your car whilst helping you understand the differences in the Insignia range. Drive away from just £261* per month, and save thosands against the cost of new. All our Insignia's are under 2 years old, under 25,000 miles and prepared to showroom conditions. The Vauxhall Insignia was awarded the maximum 5 stars for overall crash test safety, and 93% adult occupant protection score. With the sleek finish on the exterior, the coupé appearance the Grand Sport will undoubtedly turn heads. Stay connected, up to date and entertained with touch screen display, smartphone projection and voice activated sat nav. Stay relaxed and safe after dark. With the Grantd Sport's 32- array LED beam headlights, you will enjoy stunning visability. *​Thame Cars is an appointed representative of ITC Compliance Limited which is authorised and regulated by the Financial Conduct Authority (their registration number is 3134860) and which is permitted to advice on and arrange general insurance contracts​.